A nostaglic past to 1992 (like everything on this site) and we dive into an old issue of TV Hits magazine. Good to see back in the day we had a decent turnout for Australian comedy shows, where some of the original D-Generation cast appeared in Fast Forward. What? Nobody voted for Family Matters or Late for School? 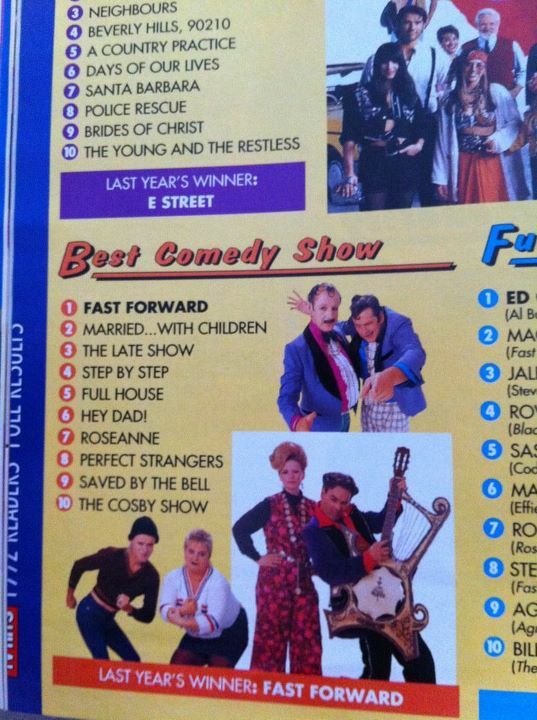 Reassuring that even readers of a magazine as light as TV Hits still had taste in comedy. I still have that issue. (TV HITS February 1993).